18-06-1973, old age, 80, Wentorf. Wentorf near Hamburg. Village Cemetery. Krancke, Theodore, born on 30-3-1893 in Magdeburg, was an admiral with the Kriegsmarine during World War II and a recipient of the Knight’s Cross of the Iron Cross with Oak Leaves . 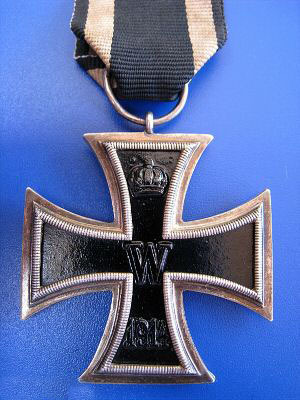 Krancke joined the German Navy in 1912 and served on a torpedo boat during World War I, rising to the rank of Leutnant. He remained in the navy after the war commanding minesweepers and torpedo boats. He rose steadily through the ranks, becoming a captain and commander of the German naval academy in 1937. In October 1939 after the beginning of World War II he took command of the pocket battle ship Admiral Scheer. Reinhard Scheer, died age 65 on 28-11-1928, was a WWI Admiral. Under the command of Krancke, during the five-month-long raiding cruise, the pocket battleship Admiral Scheer sank 13 merchant ships, one armed merchant cruiser Jervis Bay and captured three merchant ships representing 115,195 tons of Allied and neutral shipping. He was promoted to rear admiral in 1941, vice admiral in 1942 and admiral in 1943 and he served as a naval liaison officer at Adolf Hitler’s (did you know) command headquarters in 1942-1943. Krancke commanded the German Naval Forces in Western Europe from 1943 to 1945. He was the 614th Oak Leaves on 18-10-1944 as Admiral and commander in chief of Marinegruppenkommando West. During the Allied Invasion of Normandy Admiral Krancke, as Commander-in-Chief of Navy Group Command West headquartered in Paris, controlled all German naval vessels in France, as well as the various land-based naval units and the naval coastal artillery and anti aircraft batteries along the French Atlantic coast. He was taken prisoner by the British forces in 1945 and released in 1947. In the five and a half years of the war, German shipyards built 1.156 U-boats, of which 784 were lost from enemy action or other causes. Their toll of enemy shipping was 2.603 merchant ships of over 13½ million tons, and 175 naval vessels of all types. In terms of human lives, 28.000 German U-boat crew of the total 40.900 men recruited into the service lost their lives and 5.000 were taken prisoners of war. Some 30.000 men of the allied merchant service died, in addition to an unknown number of Allied naval personnel. When the war ended, 156 U-boats surrendered, 221 were scuttled by their own crews and two escaped to Argentina. Death and burial ground of Krancke, Theodore. Living in Wentorf near Hamburg, Krancke died at the old age of 80, on 18-06-1973 and is buried with his wife Gunny, born Thielen, who died age 564 in 1947, on the village cemetery of Wentorf. Cemetery location of Krancke, Theodore. Leopold III, Leopold Filips Karel Albert Meinrad Hubertus Maria.